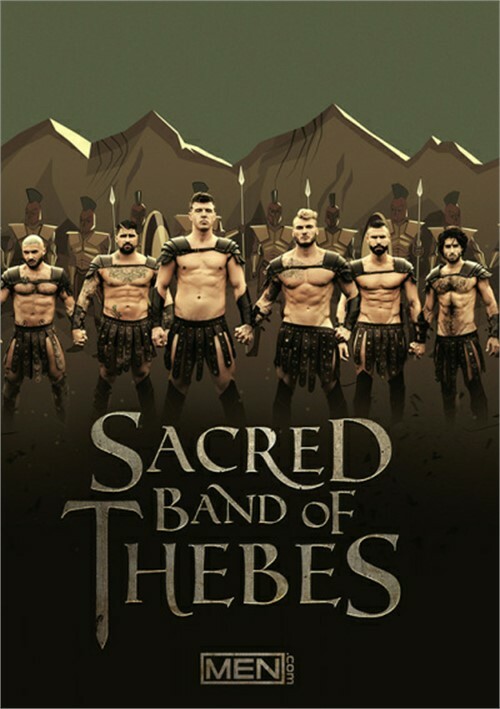 ﻿ Sacred Band of Thebes streaming video at Alter Sin Store with free previews. Let us go back to 378BC, Greece, and revisit the story of the Sacred Band of Thebes, who were exiled to Athens after losing a battle preceded by military conflicts. The unusual band of men were lovers, and they joined to regain what they had lost. They were brave, loyal, dedicated, and fought to protect their own. Muscular, blond-haired, Erastes (William Seed) was the dominating top among the group of men, and he chose chiseled, good-looking Eromenos (JJ Knight) to stand by his side in battle, and bed. Together they were unstoppable, and together they made sparks fly every time they would join bodies.